PRK (photorefractive keratectomy) is a method of refractive laser surgery to correct myopia (nearsightedness), hyperopia (farsightedness) and astigmatism to eliminate dependency on glasses or contact lenses. PRK is one of the most proven forms of laser vision correction having been performed worldwide for nearly 30 years. London Eye Centre performed the first PRK procedures in British Columbia in 1990. While PRK recovery takes a bit longer than Intralase SBK, it is still an extremely popular option for many London Eye Centre patients. Unlike Intralase SBK or conventional blade LASIK which create a hinged pocket or flap, PRK is performed on the surface of the cornea. It involves the removal of the cornea’s epithelial (skin) layer. No flap is created. The excimer laser then sculpts the underlying tissue to correct the patients’ visual error. ‘No Touch’ PRK, which London Eye Centre was instrumental in developing refers to the technique of removing the epithelial layer using either the laser or a liquid solution. Conventional PRK techniques remove the outer cells with either a blade or a motorized brush. 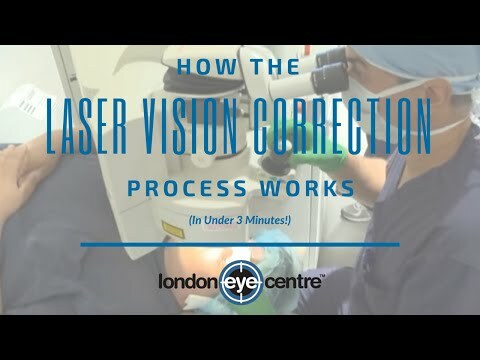 With over 100,000 PRK procedures performed just at the New Westminster, BC location alone, London Eye Centre is recognized as among the most experienced laser vision correction facilities in the world when it comes to this method. Visual Outcomes with ‘No Touch’ PRK are extremely predictable, accurate and very comparable to Intralase SBK. However, vision improvement is more gradual and the final result can take a few weeks to be achieved. During the first 4-5 days of recovery, PRK patients should also expect to experience a greater level of initial light sensitivity and irritation, more frequent use of eye drops and the need for transportation for follow-up visits compared to Intralase SBK. While PRK offers premium safety and visual outcomes, due to the longer vision recovery and short-term discomfort, those who choose PRK do need to exercise more patience during the healing process. ‘No Touch’ PRK does offer distinct benefits for certain patients. As the correction is directly on the surface, PRK provides more tissue available for treatment. This is of benefit for patients whose cornea is thin, or their prescription is too high for Intralase SBK or conventional blade LASIK. It is also preferred for patients who have had previous LASIK surgery and therefore have a thinner residual cornea. The absence of the corneal flap is also appealing to the more conservative patients or those who participate in extremely physical activities such as combat sports. Recruiters for vocations such as law enforcement, military and firefighting generally recommend ‘No Touch’ PRK. On the day of your procedure, you will be at the clinic for about 90 minutes. You will be awake during the procedure, but a sedative is available for patients who are anxious or nervous. After a second set of thorough measurements and discussion with your surgeon, your eyes will be numbed using only drops, and every step of the procedure will be explained in detail so you'll know exactly what to expect. Once in the treatment room, a small retainer will be placed on your eyelids to prevent you from blinking or closing your eye. PRK is done in 2 steps. The first is to remove the surface skin cells on the eye, called epithelium. This takes approximately 30 seconds. Once removed, the laser reshapes the underlying corneal tissue, creating a new curvature. Laser time is dependent on prescription amount but generally ranges from 10-40 seconds. Procedure time, in its entirety, is usually less than two minutes per eye. You will not feel or see the laser while the correction is taking place but you will hear a pulsing sound and notice a mild odor from the laser. Most patients who require both eyes corrected will have them treated on the same day. The surface layer usually takes three to five days to heal. During this time, a temporary bandage contact lens is placed on the surface of the eye for comfort. You will also be provided with antibiotic and anti-inflammatory eye drops as well as lubrication and pain medication. Once the outer cells grow back, the contact lens is removed by our medical team. Although blurriness is expected during initial healing, you'll notice some improvements in focusing almost immediately. After your surgery, you'll experience some discomfort due to dryness and be more light sensitive than usual. This is normal, and will subside as your eyes heal. You will be required to attend a series a follow-up appointments to monitor the healing process. While healing is longer compared to Intralase SBK, most PRK patients can resume driving a car within one week following the procedure. How to know if you’re a candidate for PRK? Find out if you are a suitable candidate for ‘No Touch’ PRK by attending a free consultation exam consisting of a thorough eye exam, additional diagnostic tests and eye maps specific to laser correction, and an education portion for further discussion and questions. 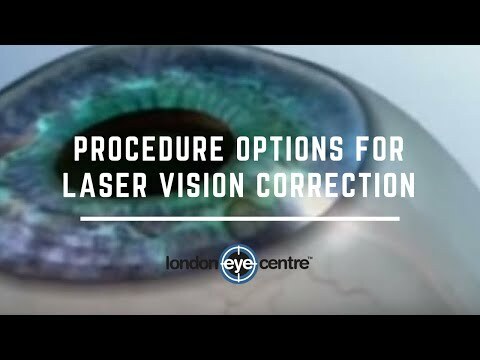 » Request a free consultation at London Eye Centre here.